Challenge your mind, raise your spirits, strengthen your faith. 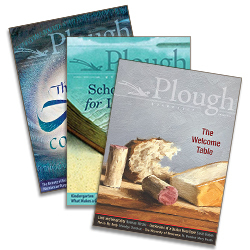 Sign up for a free trial issue of Plough Quarterly today. * U.S. price. Canada add $8; other countries add $16. All prices are in U.S. dollars and include shipping and handling.